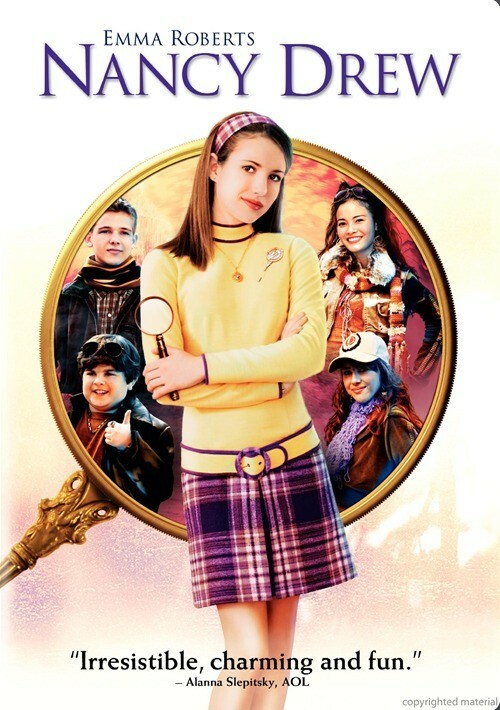 With her magnifying glass and fingerprint powder in hand, Nancy Drew leaves River Heights for La-La-Land...but not to meet that guy on Smallville, as her boyfriend Ned fears. No, she's out to solve one of the greatest mysteries ever: the death of movie star Dehlia Draycott. Nancy Drew is an iconic girl detective created by Carolyn Keene with a passion for mystery and all things old. 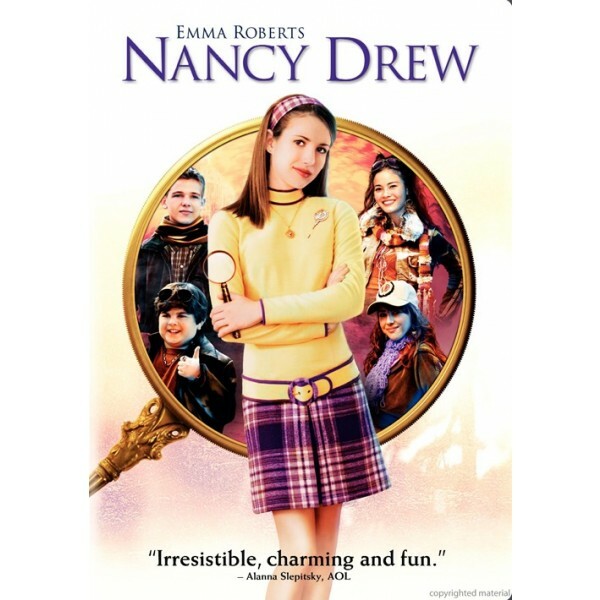 The small-town Nancy Drew (played by Julia Roberts' niece Emma Roberts) is about to experience a serious case of culture shock as she heads to Hollywood on an extended business trip with her father Carson Drew (Tate Donovan) and prepares to join the 21st century (well, sort of) at Hollywood High. Having promised her father that she'll give up sleuthing in favor of becoming a "normal" teenager, Nancy tries her best to resist the lure of the age-old mystery of famous actress Dehlia Draycott's (Laura Harring) death, but living in Dehlia's old booby-trapped mansion full of clues proves too powerful a force for Nancy to resist. Feeling completely out of place with high school peers who prove self-absorbed and obsessed with fashion, Nancy makes an unlikely friend in 12-year-old Corky (Josh Flitter), the brother of one of the meanest girls at school.